The BBC has commissioned a new series of Robot Wars. This is not Battlebots; that show was revived last year, and a second season will air again this summer. Robot Wars is the one with the ‘house’ robots. We would like to take this opportunity to remind the BBC that Robot Wars is neither Scrapheap Challenge nor Junkyard Wars, and by virtue of that fact alone is an inferior show. [Fran] is a favorite around these parts. She’s taken apart a Saturn V Launch Vehicle Digital Computer, visited the Smithsonian Air and Space Museum warehouse, and is the occasional host of the Dinosaur Den with [Bil Herd]. Now, she’s relaunching her line of guitar pedals. ‘Boutique’ pedals are a weird market, but with the help of a few manufacturers, [Fran] is bringing her Peachfuzz pedal back to life through Kickstarter. Want to be an astronaut? Here’s the application. Here’s your monthly, ‘WTF is this thing on eBay’ link. It’s a clamshell/toilet seat iBook (c.2000), loaded up with an Intel i5 Broadwell CPU, 128 GB of Flash storage, 4 GB of RAM, a 12″ 1024×768 LCD, Gigabit Ethernet, WiFi, Bluetooth, and runs OS X El Capitan. I might be mistaken, but it looks like someone took the motherboard out of a 2015 MacBook Air, crammed it into a sixteen year old computer, and put it up on eBay. I’m not saying that’s what it is; this is from China, and there are people over there making new improved motherboards for a Thinkpad x61. Weirder stuff has already happened. In the last installment of the Travelling Hacker Box, I asked if anyone can receive mail in Antarctica. A person with friends in the British survey team emailed me, but nothing came of that. It’s summer, so if Antarctica is going to happen, it needs to happen soon. [Thomas] chose to do to some bare metal programming on the Pi Zero to use it as a video card for video output. 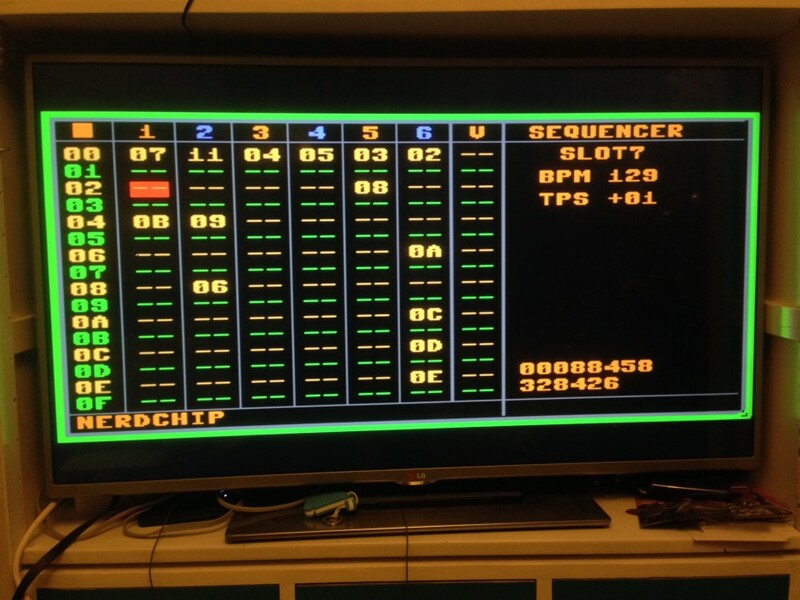 By following a tutorial from Valvers and modifying an SPI driver from Microelecroniki he was able to clone the video on an external monitor. This is a step in the right direction and we’ll have to keep an eye on his site for updates about video sequencing on the external display. 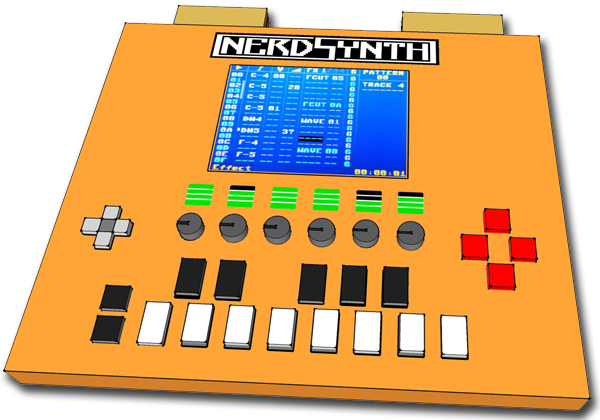 You can check out a recent demo of the Nerdsynth in action after the break, sadly you’ll have to settle for a pic of the cloned screen (below) until [Thomas] posts another update. 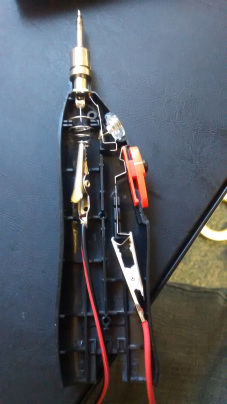 Will Metallic Glue Replace Solder? A video recently surfaced touting a new method of joining materials together. It’s called MesoGlue, and apparently, it could replace soldering or even welding in certain cases. First announced on this month’s Advanced Materials and Processes (caution, big file!) it seems… legit. The basic premise is it uses nanorods of material — kind of like velcro — that once you push together, intertwine with each other, and become solid. They’re surrounded with a shell that liquefies, which solidifies the bond. This makes it able to withstand high heat, once bonded. This kind of technology could have an impact in the way we join solder circuits, pipes, bond IC’s to heat sinks, and attaching de-similar materials with different thermal expansion coefficients.